The Best plugin to Create & Configure Products. Panorama Addon offer an Awesome Full Width configurator. 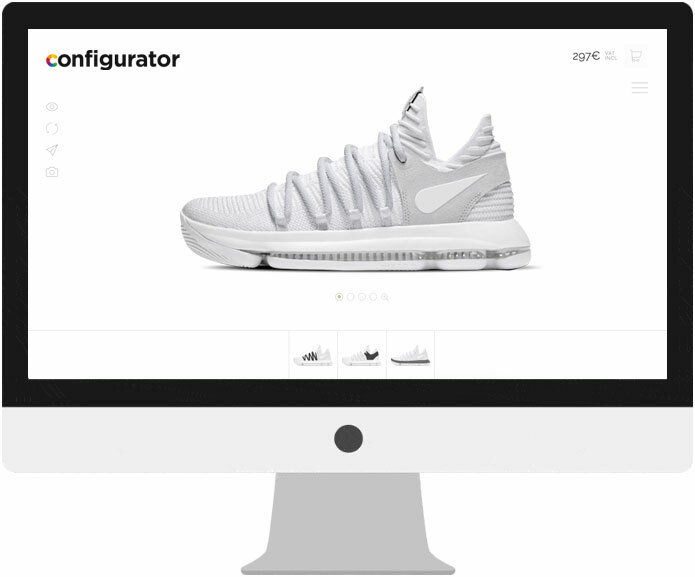 Assign the configurator to a woocommerce product in your shop Online and your configurations will be impressive. Maximum visibility of your product and multiple additional options. The Panorama Add-on provides a detailed, visual shopping list of the items selected in your configuration. It will be hidden down one side offering users a highly intuitive way of revealing it. You can display product descriptions, remove or edit your selection. Furthermore, the list includes a button linked directly to your shopping basket. With the Panorama Add-on, you’ll be able to add Hotspots to your configurators. These enable you to display the options available at each level. This makes your configurator even more visual and intuitive. The Panorama Add-on offers a range of new tools. These include a zoom. This allows you to expand the created configuration to full-screen mode whenever you wish. One of the strengths of the Panorama Add-on is the ability to create as many depth levels as required. You’re not limited to one single configuration level. You can increase the complexity and possibilities embodied by your product, in order to offer a complete configuration. The Panorama Add-on brings together a tool for social media sharing with lateral tools which come as part of the WPConfigurator Plugin as standard. This means that your buyers will be able to share their configuration with friends to see whether they like it or not. The Panorama Add-on takes a lateral approach to WPconfigurator Plugin inspiration. Inspire your buyers with pre-configurations which break the mould, and which your users can continue to configure.